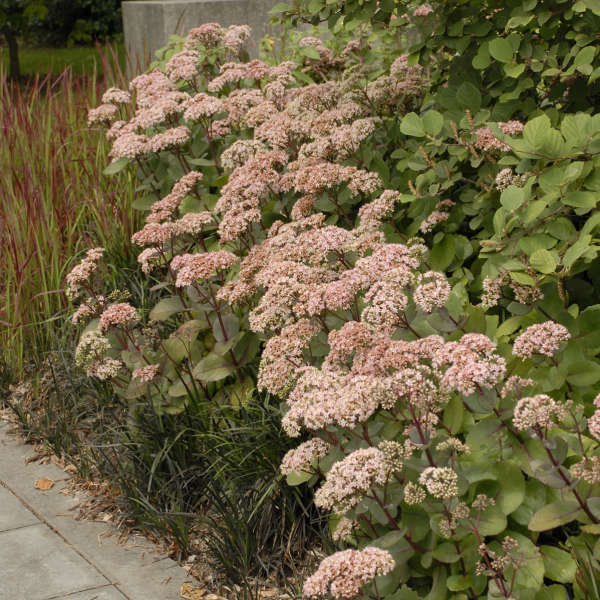 Sedum 'Matrona' is a selection from Germany. 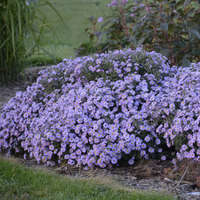 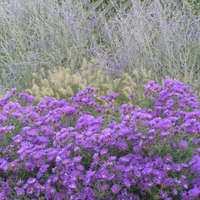 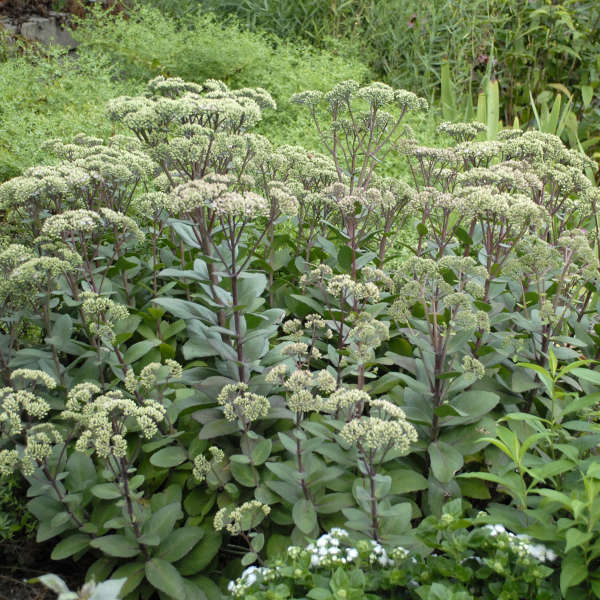 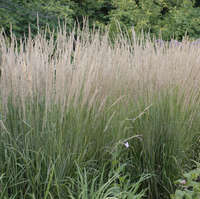 It's a sturdy, upright grower that has gray-green leaves with rosy pink edges and purple stems. 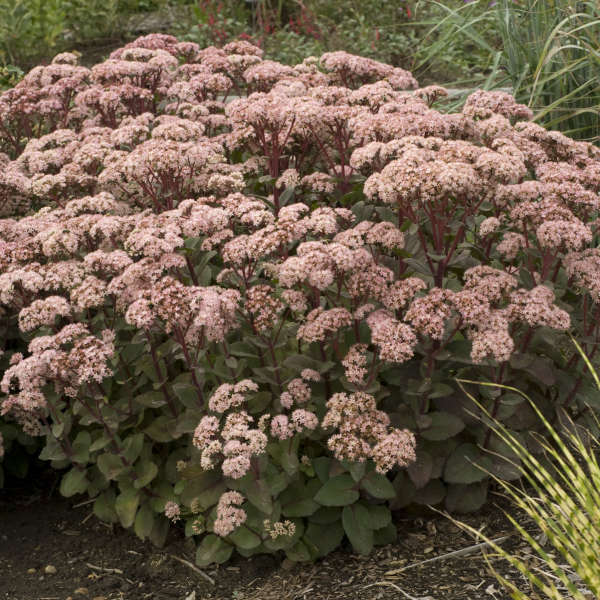 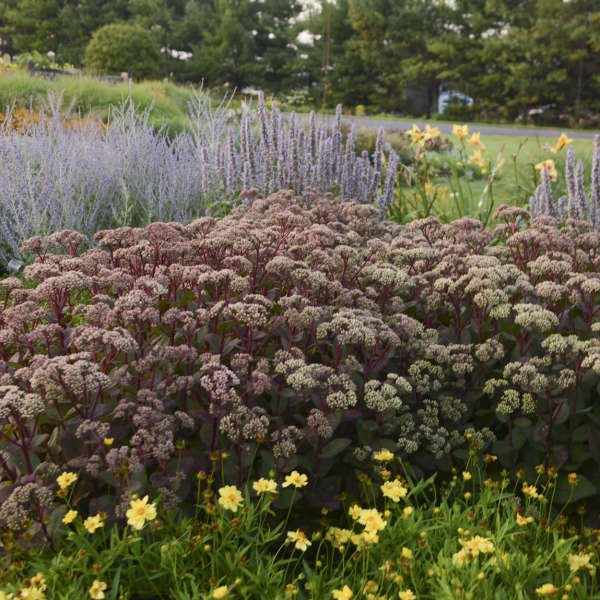 The long-lasting flower clusters are mauve-pink, becoming chocolate-brown in winter.